They Paced Back and Forth. 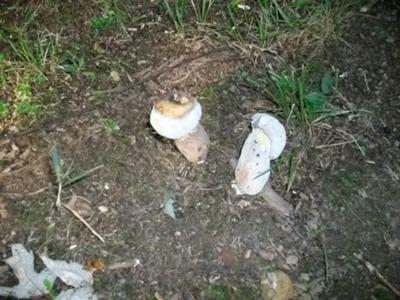 Now, as we tried to think of a way to fool the Shroom of Evil, two little guys paced back and forth with us. They thought and thought and finally came up with the answer! "We will make the Shroom of Evil fall into a deep sleep! Then you and all the mushrooms of the forest can pass to the Field of Magnificent Mushrooms!"